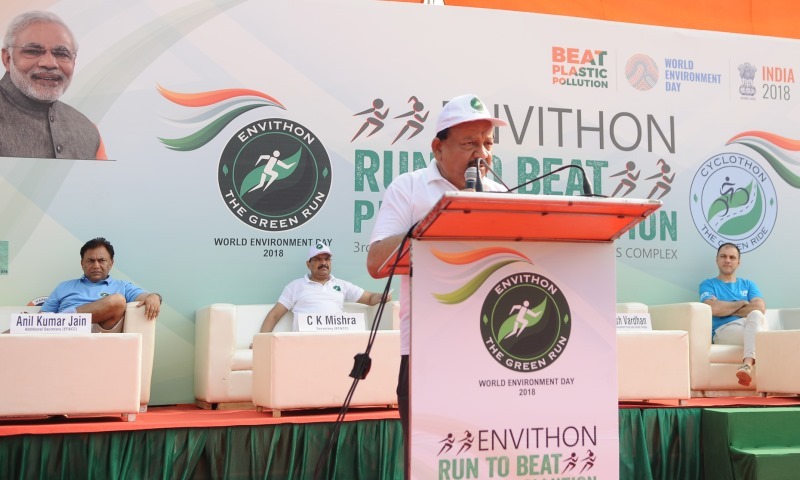 Environment Minister Dr. Harsh Vardhan addressing at the inauguration of the ENVITHON (Mini-Marathon) as part of the World Environment Day celebrations in New Delhi on June 03, 2018. The event was joined by a gathering of more than 10,000 school children from nearly 200 schools of Delhi NCR. The Environment Minister used the ENVITHON platform to underlining the crucial role that school children play in any societal endeavour. He urged all the school children to become environment protectors (Paryavaran Rakshaks) and help the government and society in overcoming the menace of plastic pollution. 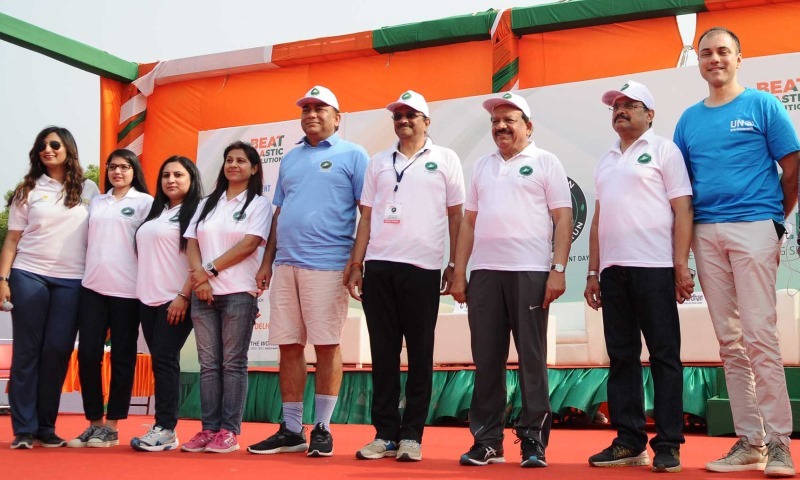 Dr. Harsh Vardhan also administered a pledge to the children to undertake one Green Good Deed every day, minimise the use of plastic and contribute their might to completely stop the use of plastic in our day-to-day life. He then flagged off the ENVITHON run at Vinay Marg, Chanakyapuri and rode back to his work on a bicycle! A cultural programme with street play, songs and dance performances arund the theme of plastic pollution and river conservation was also put together for this event. The event was also joined by MoEFCC Secretary Shri C.K Mishra, Director General, Forest & Special Secretary, MoEFCC Shri Siddhanta Das, Additional Secretary Shri A.K. Jain and representatives from United Nations Environment Programme.